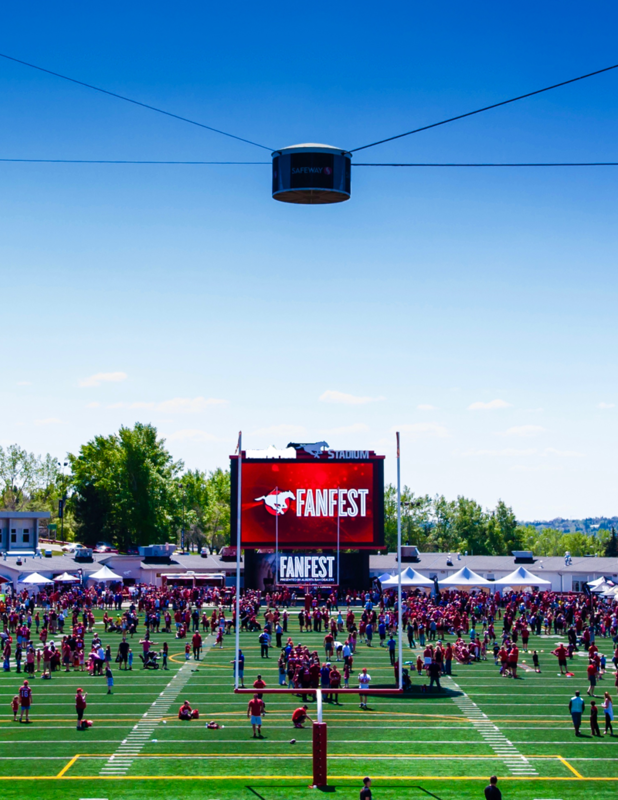 The always-popular Stampeders event Fanfest is held annually at McMahon Stadium and serves as the unofficial kickoff to the upcoming football season! This year's event will be on Saturday, May 12 from 9 a.m. to 1 p.m. and will run rain or shine, so be sure to bring your family and friends to this FREE event. The day starts at 9 a.m. with a free pancake breakfast and a live band in the East parking lot, located across from the Ticket Office and Stamps Store. Once the gates open at 10 a.m., there are interactive inflatables, partner activations and games on the field, as well as the opportunity to interact with Stampeders players, coaches, Outriders, Ralph the Dog and get autographs. You can also pose for a photo with the Grey Cup, sample new food and beverage items from McMahon’s concessions and browse through the new 2018 Stamps gear at the Stamps Store. Come join your Calgary Stampeders as we kickoff the 2018 football season! See you there.